Cultural goods gain popularity among young museum goers. March. 19, 2018 07:45. by Won-Mo Yu onemore@donga.com. On Friday afternoon, a gift shop at the National Museum of Korea was packed with dozens of shoppers. Don’t think it is just another souvenir shop. You will be surprised by the quality and personality of items that are newly designed and crafted by reinterpreting traditional Korean paintings and cultural assets. Park Soo-jeong, 30, who purchased three notebooks of Shin Saimdang’s painting “Chochungdo,” said she has recently picked up a habit of buying items such as notebooks, ballpoint pens and pouches at the museum gift shop, praising their quality as highly great she can give her foreign friends as a gift. Korean traditional cultural goods continue to garner popularity among millennials in recent years. In the past, cultural goods including scratch back woods and Hahoe masks, traditional masks made of wood would be regarded as being old-fashioned but now they boast sophisticated design and practical use. Cultural goods are available at major art museums in Korea. 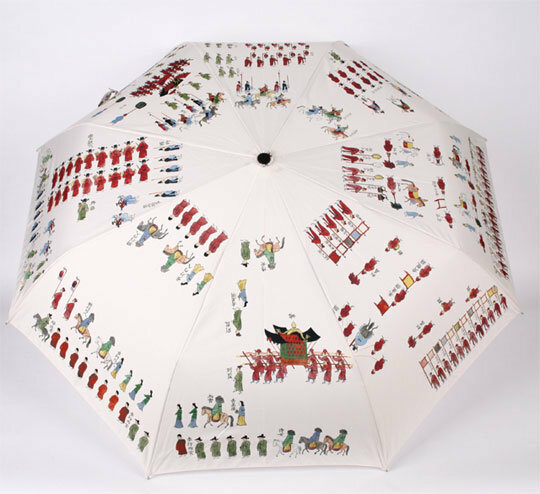 Items include handkerchiefs and umbrellas designed after the Korean royal books, Oegyujanggak Uigwe, and glass cups and notebooks inspired by “Counting the Stars at Night” by the Korean poet Yun Dong-joo. The cultural goods revenue doubled over the past decade, posting 4 billion Korean won last year and the sales online increased more than 140 percent from the previous year. Nearly 70 percent of sales came from young customers under 40. “We have been making steady efforts to offer better items through collaboration with independent artists, resulting in a great result,” said an official at the Cultural Foundation of National Museum, attributing a growing demand to goods’ having practical and aesthetic quality as well as significant cultural and historical meaning.